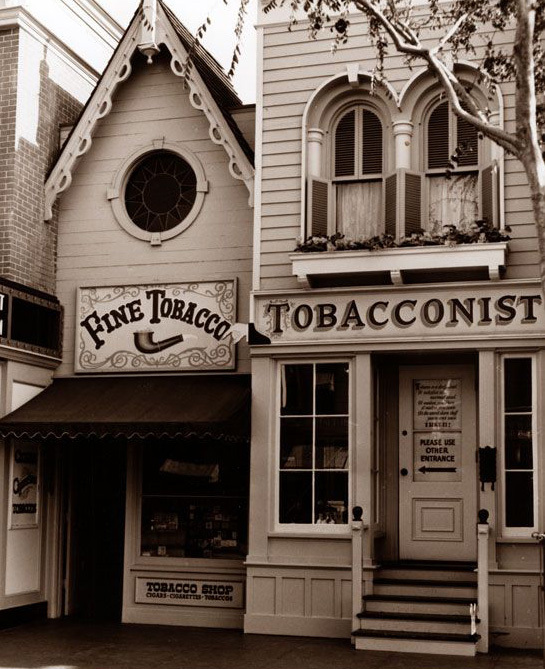 The Tobacconest sign was eventually changed to Tobacconist. 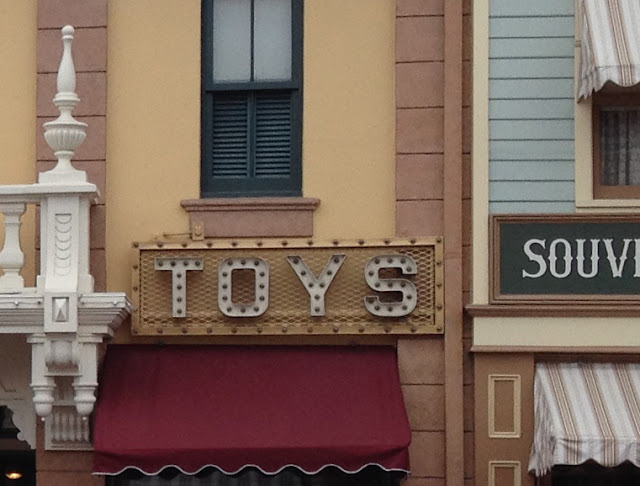 Many of the familiar fancy electric signs missed opening day at Disneyland. 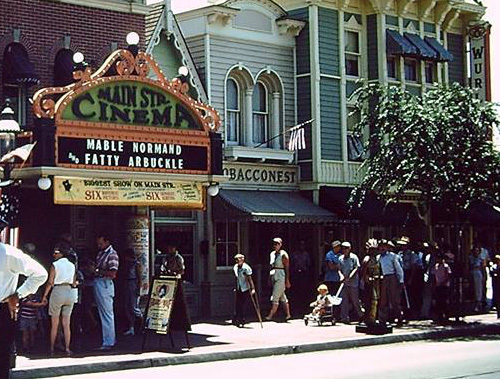 There were a few--the Main Street Cinema, the Emporium--but many were hand-lettered. There were elaborately framed wooden signs, individual letters, and hanging signs. 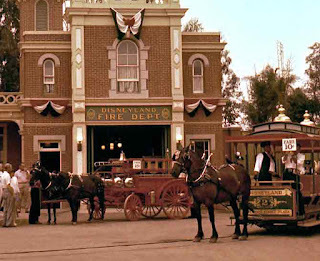 Gold leaf lettering on the various wagons and street cars, show windows, and some second-floor window credits, at least the one honoring Walt and Roy's father, Elias. 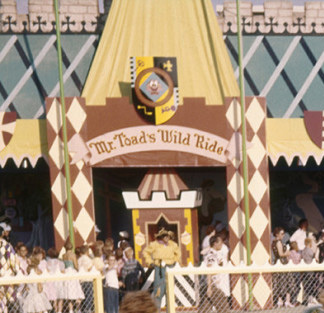 These photos have been cropped to emphasize the signs, in the process cutting off watermarks from Daveland and Stuff From the Park. Some photos are from unknown sources. 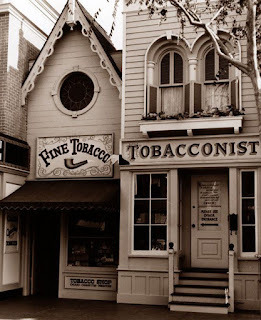 I like to think, personally, that the Main Street Tobacconist shop was originally called the Tobacco Nest, and not that Disneylanders couldn't spell :-). 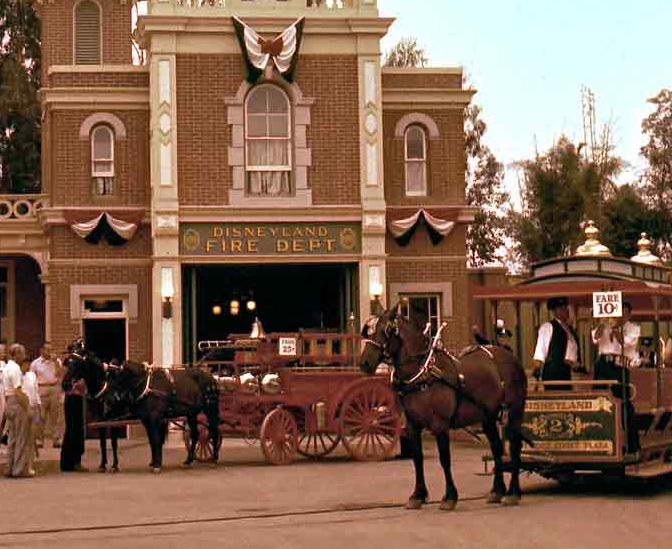 The fancy woodwork sign with raised gold letters at the Golden Horseshoe Revue arrived years later. 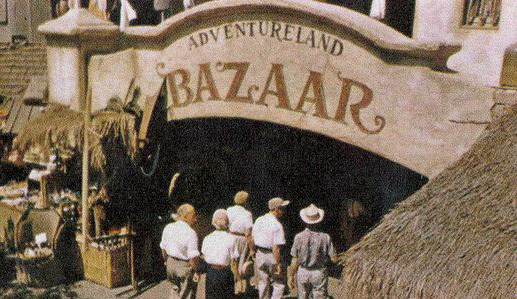 It was originally three fluttering banners. The hand-painted sign on the Adventureland Bazaar was intentionally uneven--the "R" is larger than the "B." The Monsanto Hall of Chemistry eventually had a backlit, so-called "can" sign with atoms around it over the door, but initially there was only a small, hand-lettered sign at shoulder-height--from the Hub, there was no telling what was inside the big exhibit building. 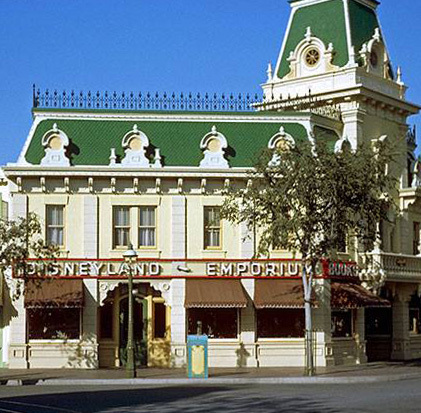 The "pin lights" edging Main Street weren't added until 1957, so the few signs with individual light bulbs, such as the Emporium and the Cinema marquee, really stood out. 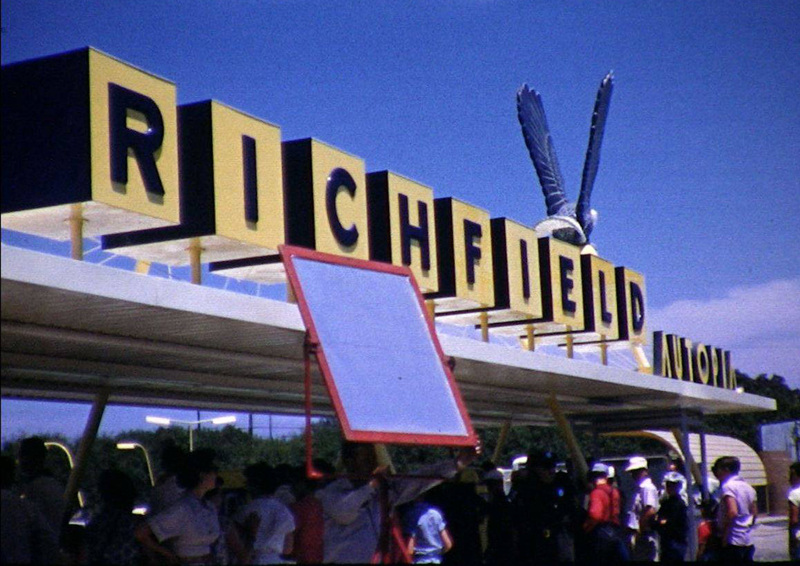 I think the red framed reflector is part of the July 17, 1955 TV show, proving (if so) that the fancy Richfield sign was ready for opening day. It makes sense that a gas station company would know sign providers that could deliver on a tight schedule. 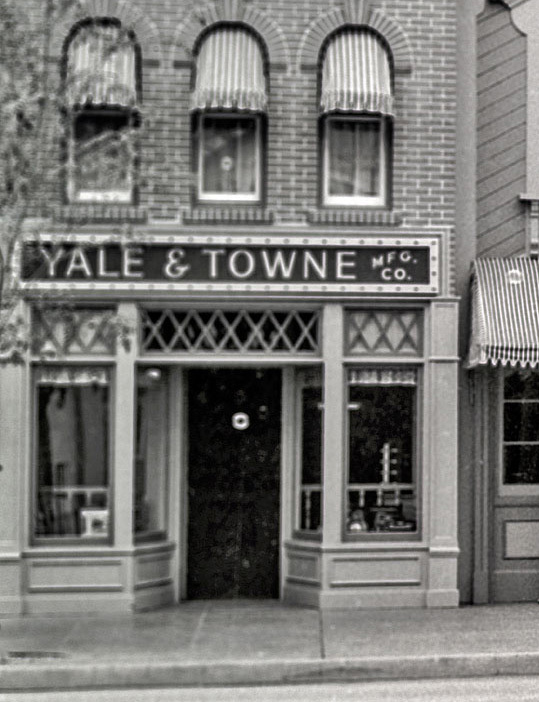 Main Street was originally more down-to-earth than it became. 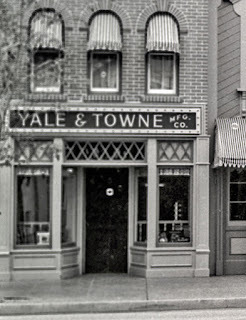 The window credits on the second floor here advertise the Acme Business College. There's no clever second meaning as far as I know. Individual light bulbs framed in sheet metal letters, mounted on an expanded metal background. 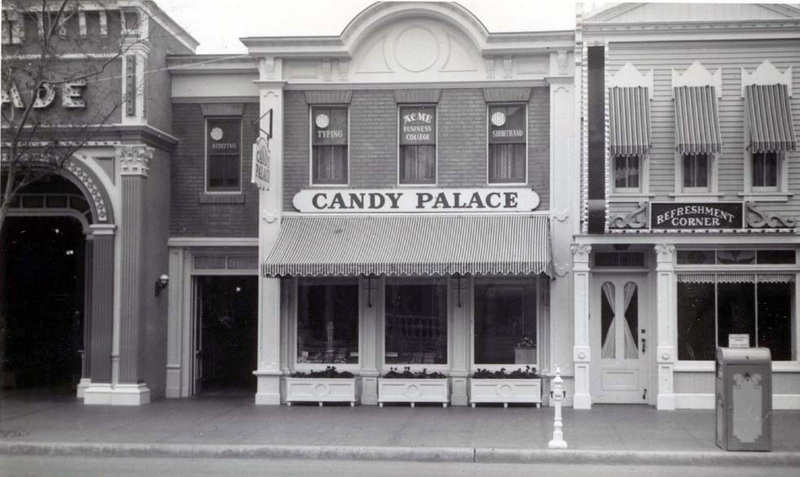 In the 1920s, the neon sign industry went from $50,000 to over $18 million a year, and signs like these disappeared.